Instec-corp | What Can Insurance Learn from Amazon, Facebook, and Google? You only need to look to Amazon, Facebook and Google to see how people prefer to interact with software and the web. J.D Power noted that “customer expectations of their insurer’s website are set based on their experiences on other sites, including non-insurance sites.”2 We expect search fields to work like Google, transactions to work like Amazon, and social networking to feel like Facebook. The concept reminds me of some recent user interviews we did. A customer remarked that our policy system “feels like” a web application. I liked this characterization a lot because it validated the notion that her expectations surrounding the interface—the whole experience – were tightly coupled to her experiences on the web. She didn't feel like she was having to relearn everything, any more than she would moving from one web app to another. Whether we like it or not, the way a customer feels about enterprise software, an agency portal, or an online insurance application, has a great influence over their choice to do business with you. The days of the green screen are long gone, and the web experience now rules. 1 McKendrick, Joe. Design Thinking Comes to Insurance. Insurance Networking News, 7 Dec 2015. 2 Many Auto Insurance Websites Dissapoint Consumers: J.D. Power. Carrier Management, 20 May 2016. 3 Santana, Danni, Inside USAA's Digital Innovation Philosophy. Insurance Networking News, 3 May 2016. 4 Numbers of LinkedIn members from 1st quarter 2009 to 3rd quarter 2016 (in millions). Statista. 6 Perez, Sarah. Majority of Digital Media Consumption Now Takes Place in Mobile Apps. TechCrunch, 21 Aug 2014. 7 Brohan, Mark. Mobile commerce is now 30% of all U.S. e-commerce. InternetRetailer, 18 Aug 2015. 8 Martin, Chuck. Mobile Commerce Heading To $284 Billion, 45% of Online Spending. MediaPost, 23 Dec 2015. 9 Toplin, Jamie. How retailers and tech giants are pushing consumers to do more of their spending on smartphones. Business Insider, 18 Feb 2016. 10 Pavlus, John. Design Thinking Shakes UP The Beige World of Enterprise Software. FastCoDesign, 3 March 2016. 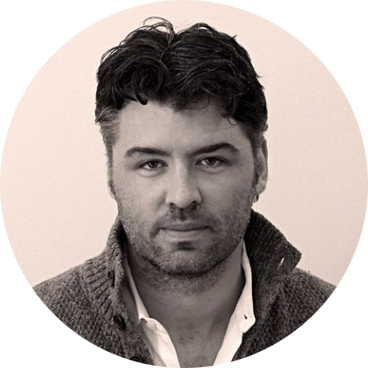 Charles Plath is the Director of User Experience Design for Instec. He has 17+ years of experience ranging from front-end visual and interaction design to managing usability and experience design. Clients he has done work for consist of Pfizer, Caterpillar, Crains Communications, Conde Naste, Wiley Publications, Guthy-Renker, Consumer Guide, Sprint and many more.